Here is another entry-level smartphone from Huawei which is of course in their Y-series a popular category under which this type of smartphone is released. The Huawei Y5 Lite (2018) has the ever simple build that is known to come with these smartphones. Yet again, it misses the fingerprint scanner as a means of authentication and has the usual plastic body that low budget smartphone is known for. The specs are minimal so as to reduce the price tag on the smartphone. 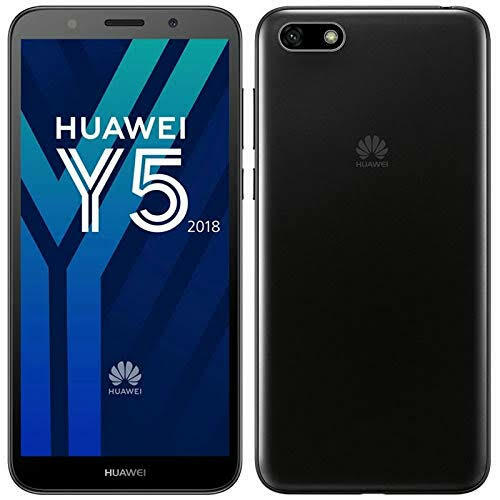 Common to smartphones at this price bracket is the plastic casing that comes with the Huawei Y5 Lite (2018). The build here is lacklustre with blue and black finish option and is less glossy than you have in some. More so, the smartphone has an 18:9 aspect ratio in that way there is a cut down on bezels present. You’ve got a single camera with the flash beside it looking like a dual camera setting leaving the rear empty with no fast charge capability. In the area of display, the smartphone comes with a typical low-level budget screen on it. Considering how big the display on smartphones is getting recently, the 5.45-inch screen here is average or even small to an extent. In that regard, the resolution on the smartphone is an average 1440 x 720 pixels. How long your smartphone will last is decided by a mediocre battery that does a good job of lasting till the end of the day. The 3, 020mAh battery inside the smartphone can take the usual surfing the web, doing a bit of gaming and making calls. To charge the smartphone, you’ve got a MicroUSB port at the bottom. Taking pictures on the smartphone is a single camera affair on both sides. Keeping in mind the price you are paying for the smartphone, it is important that you don’t get your hopes up with the quality of pictures you’re expecting from it. That said, the Huawei Y5 Lite (2018) features an 8MP sensor on the rear side and a 5MP camera up front. Going beneath the surface, therein is a four core entry-level chipset and other low-level features. Starting with the MediaTek MT6739 processor which is accompanied by a PowerVR GE8100 GPU. Furthermore, there is a 1GB RAM as well as a 16GB internal storage. Increment can be made to the storage space up to 256GB if you wish. You have the Go Edition of Android Oreo running on the smartphone making it much more smooth in operation. The smartphone costs about 44, 000 Naira depending on your location and the deal.